There’s something very special about our new Ethiopian Ardi. Many people in the industry will tell you that it was a fruity, distinct coffee like Ardi that got them hooked on the whole coffee game to begin with. 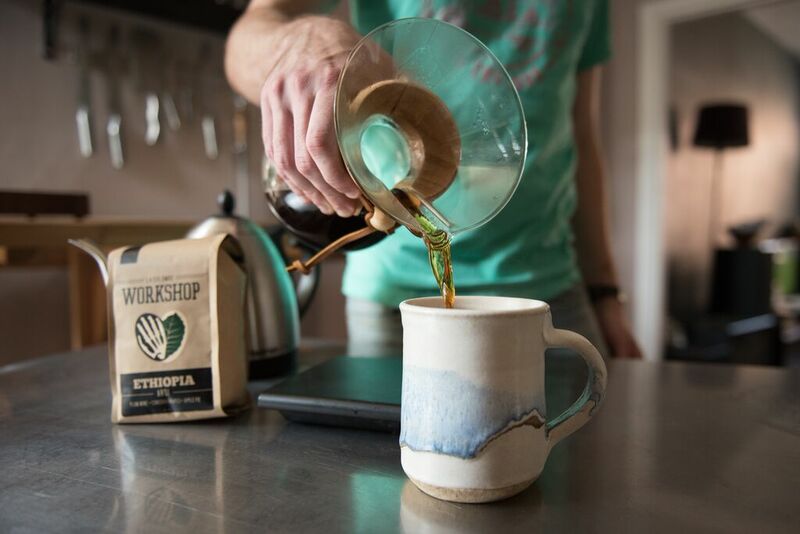 We sat down with Jonathan Amos, an award-winning barista and the head of our Philadelphia coffee training program, to talk about why Ardi is so special and how to brew it on a Chemex so that it tastes great. Why is Ardi significant to you personally? Why should someone new to coffee try Ardi? Ardi is a gateway drug. You didn’t know coffee was a fruit? Now you know. I had no idea what coffee was or what it could be until I first tried a naturally processed Ethiopian Sidama years ago. It hooked me! I needed to know why the coffee tasted the way it did and what else coffees could taste like. It’s the natural process that makes a coffee like Ardi stand out. The coffee cherries are dried whole, allowing the seeds to soak up all the beautiful fruit flavors. What are some tips to make sure your home-brewed Ardi tastes as delicious as possible? One of the best things about Ardi is the smell. Grind fresh — the fragrance of sweet fruit will fill up your entire house! It’s a wonderful cup to wake up to. I’d also avoid using milk in this coffee. The milk will cover up some of the more delicate flavors, and the coffee’s bright acidity may even cause the milk to curdle. How would you brew Ardi at home? What method/grind/ratio/temp/etc. and why? Chemex! Ardi sings in a Chemex. All the high notes come through: strawberry, blueberry, watermelon… I like to use a pretty coarse grind and pulse brew. Use a 1:16 ratio — 30g of coffee and 480g of filtered water. The best water temperature is between 203 – 205. Start with a 60g bloom for 30s, then gently add 250g of water. The height that the coffee slurry is at is the level you want to keep it at, so as it begins to descend add more water in pulses every 30s. Keep pulsing until you’ve added the entire 480g of water. You’ll want the brew to finish at around 3:30. 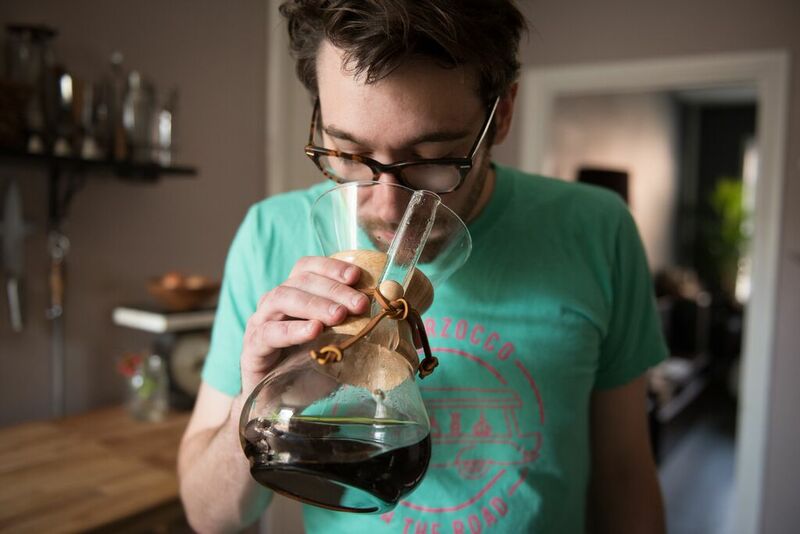 True coffee geeks toss the filter out and then immediately get their noses right in the Chemex and take a deep breath. Try it and you’ll understand why! I have lots of Ethiopian Naturals. I had to write this post because of the aroma this stuff puts out, especially after the grind. I honestly have never smelled anything this good. Honestly, it’s still brewing my fist cup now as I wait.. Haven’t even tasted it yet. Ok… Gotta go try this. Can’t wait.